This was a daylight raid on Marifu Railroad Yards on Honshu. No opposition was encountered. The last mission of World War II was flown on the night of 14 August. Sixth ships flew to the Marifu railroad yards at Iwakuni on Honshu. Forty-two planes took off at 0619 with bomb bays loaded with 500 pound general purpose bombs. One ship returned early and two bombed the town of Sanagoseki. No enemy opposition of any nature was encountered. 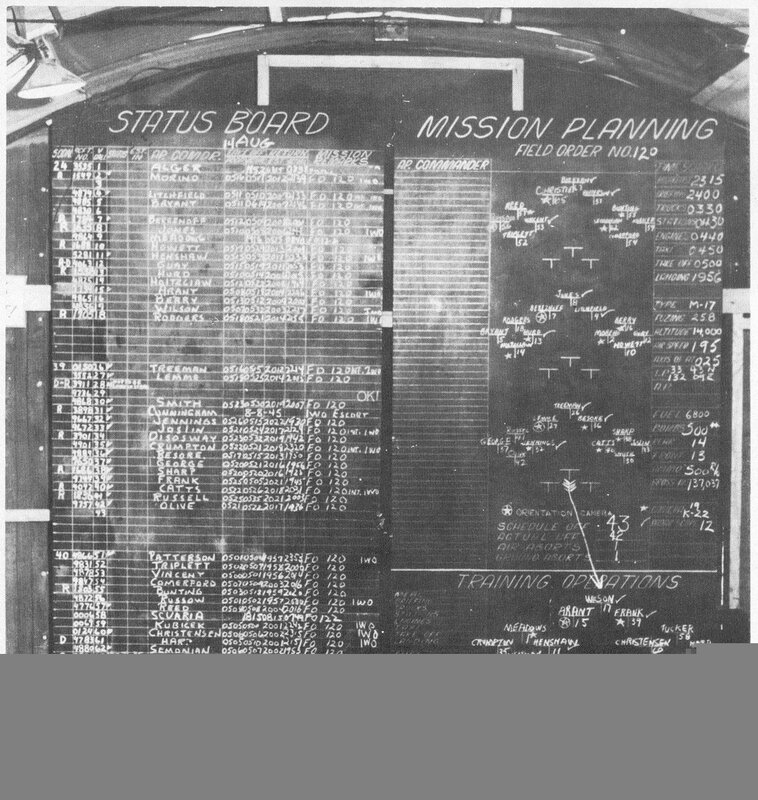 All radio operators were briefed to listen for a coded message indicating the war had ended which meant all airplanes were to return to their base. The message, "Break Utah Utah Utah Break" did not come, and the mission was carried out as planned. Type of Bombs and Fuzes: M64, 500# G.P. bombs fuzed with 1/10 sec. delay nose and 1/100 sec. delay tail. Tons of Bombs Dropped: 709.8 tons on Primary and 12.7 tons on Opportunity. Resume of Mission: Strike photos showed excellent results, with numerous hits on the target. All bombing was visual. Five A/C were non-effective. P-38s and P-47s gave support. 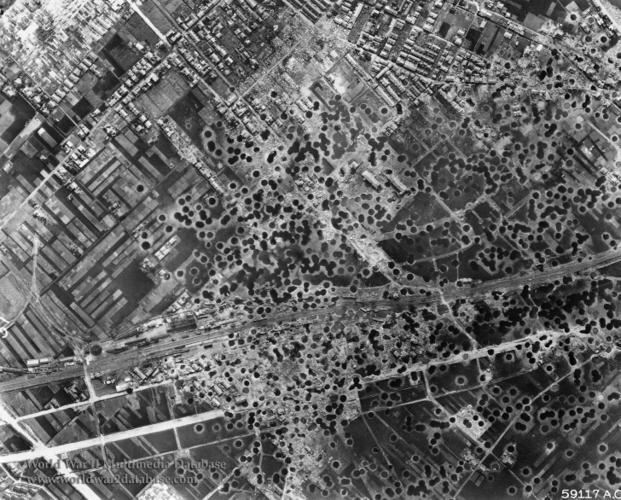 Flak was heavy, moderate, generally accurate and continuously pointed. Forty B-29s landed at Iwo Jima and 1 at Okinawa. Average bomb load: 14,370 lbs. Average fuel reserve: 596 gallons.